With lock, 2 keys. 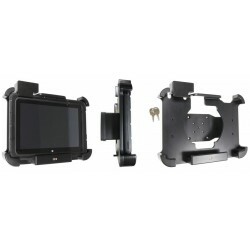 Fits devices with rugged frame, with and without expansion module/handstrap. With DC power connector (power supply NOT included). This holder is the perfect choice when you want to have your device securely locked in place and still easy accessible. 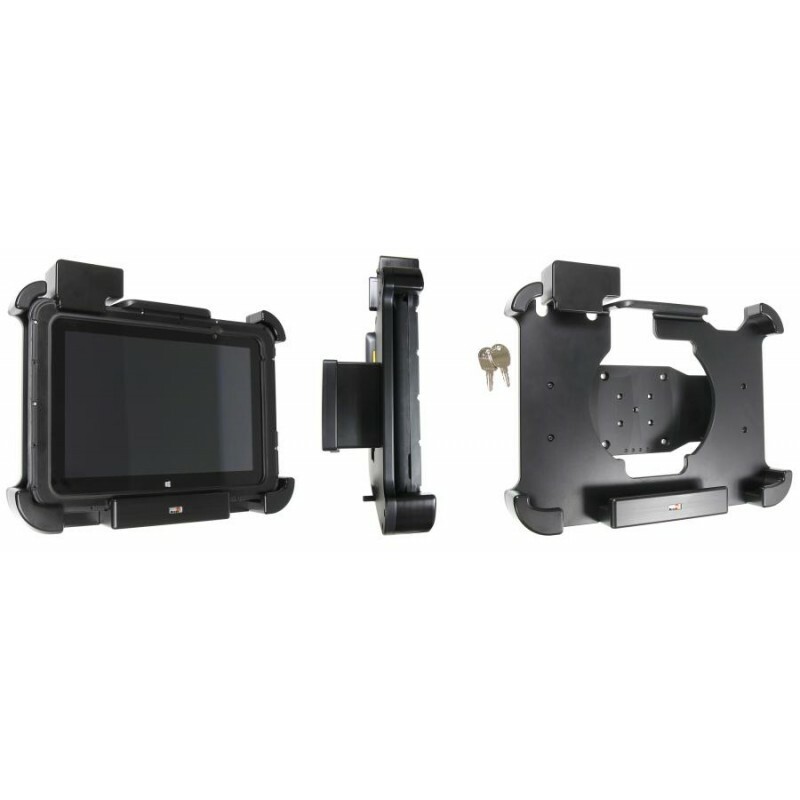 Custom fit for devices with rugged frame, with and without expansion module/handstrap. The holder has an extra robust design for an extra secure fit and is equipped with a lock. In order to remove the device from the holder you need a key (two keys are included). Attach the holder to any flat surface or a Pedestal Mount in a truck, distribution vehicle, warehouse etc. Predrilled AMPS and VESA standard holes. 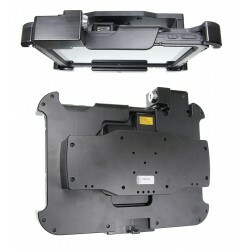 You have full access to the camera and all buttons and outlets when the device is in the holder.